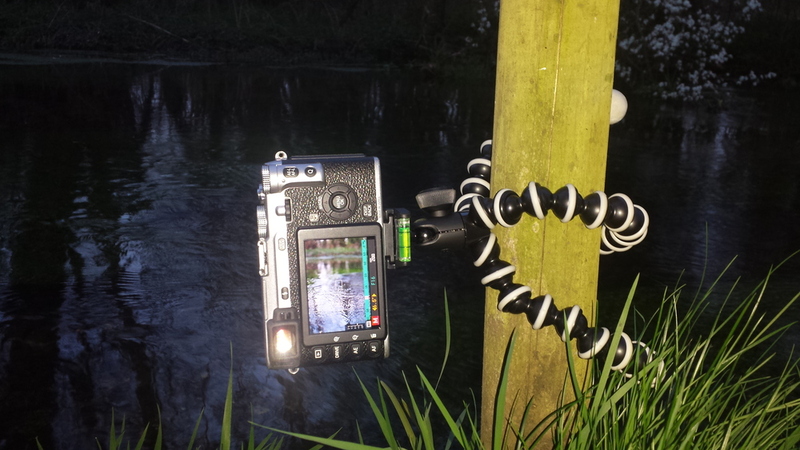 Recently I purchased a "Joby Gorillapod" tripod designed for a lightweight camera like my Fuji. The idea is to replace much heavier and larger tripod for urban exploring as it can fit all in one bag. The way its used is by attaching the tripod on railings, lamp posts or just simply walls to add stability to the camera which is essential for photographing sunsets and city skylines. A few days ago I was out exploring a nearby field which reportedly was growing yellow and red flowers but it turned out to be too far away from the roadside to be any good. I then decided to travel to Castle Acre to capture the sunset from a viewpoint I discovered a couple weeks earlier and made a point to use my new "toy" which worked well and kept its position while I changed the dials to manually take images with different exposures to merge into HDR later. When I next visit London I shall only be taking this smaller tripod. It should also work well in woodland, however in the countryside I can see it being less useful for landscapes.